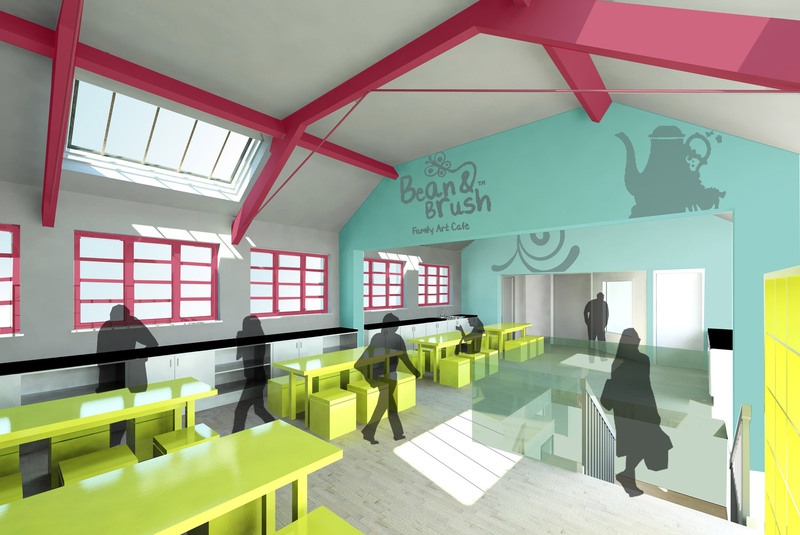 The Bean and Brush Family Arts Cafe is located in Sale, Manchester and is housed in a converted Royal Mail sorting office. 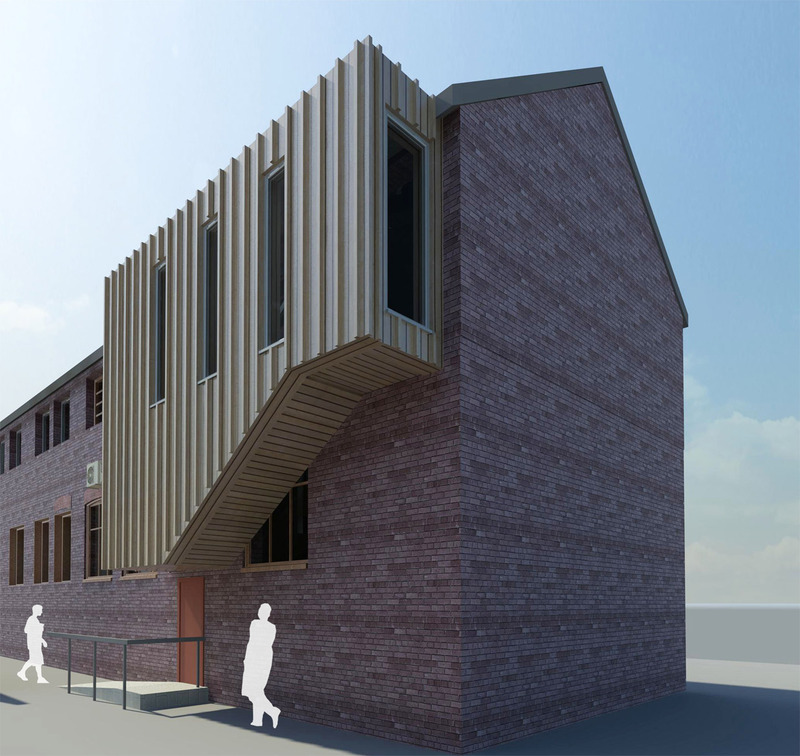 Artform Architects were appointed by the owners to create designs for the refurbishment of the first floor and convert it from storage space into a family art studio. The proposals maximise natural light by introducing large roof lights and celebrate the orignal features of the building. 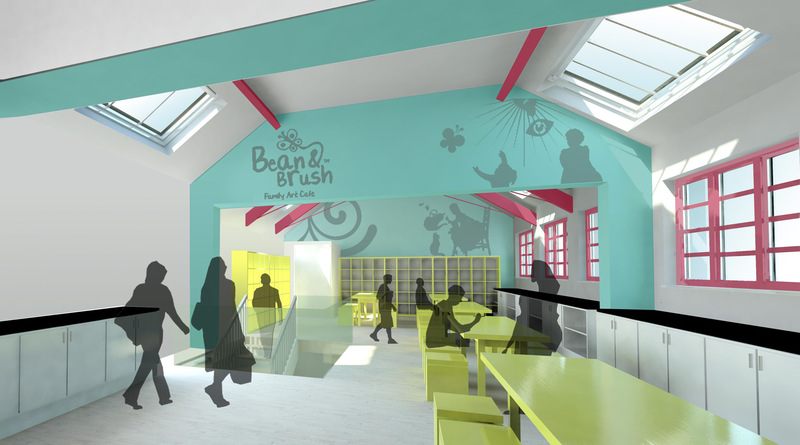 The design takes the branding and colour scheme of the Bean and Brush and transforms the unused space into a vibrant, airy and attractive space for families to enjoy creating art. 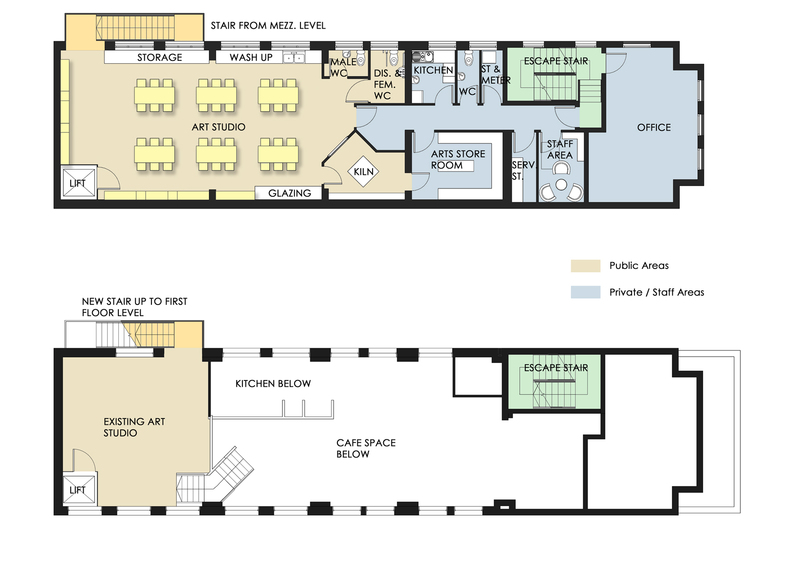 The studio proposals also include designs for a staircase to connect it with the cafe below. Graham Starling | Managing Director | Blue Maze Ltd.